Do you like using Tumblr on your iPhone? Well, then we have some bad news for you. It looks like Apple is trying to get rid of Tumblr and to make matters even worse, this is all being done in secret. The iOS version of Tumblr has randomly disappeared from the App Store. Moreover, multiple Tumblr users started complaining about the fact that they are not able to turn off Safe Mode and that the app is not working as intended. 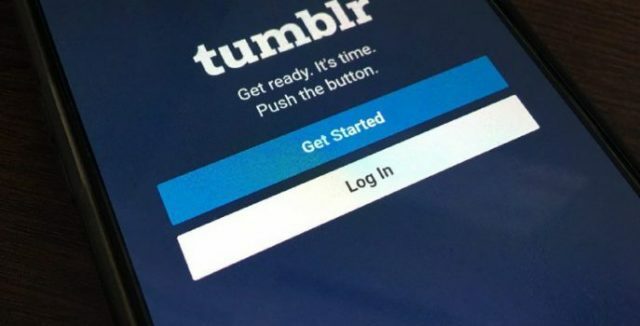 The folks at PiunikaWeb were the first ones to find out that Apple has removed Tumblr from the App Store. “Basically, those who had the iOS app installed said that they can’t do a search with Safe Mode off, and those who uninstalled the app for whatever reason were complaining the app is nowhere to be found on the App Store. So effectively they lost all access to the app” said PiunikaWeb. On the bright side of things, the official Tumblr support Twitter account decided to respond to this issue and let everyone know that the iOS version of Tumblr will be coming back soon. “We’re working to resolve an issue with the iOS app and hope to be fully functional again soon. We really appreciate your patience as we figure this out” said Tumblr over Twitter. From the looks of it, there is a bug in the Tumblr app or in the App Store that makes the app inaccessible. This is a worrying thing for iPhone owners because Tumblr is an app that is used by millions of people and they shouldn’t have to deal with this type of “random bug” that removes their favorite app from the App Store. Let’s just hope that Tumblr and Apple can fix this issue fast.